In an exclusive interview for FourFourTwo magazine, former Everton manager Joe Royle has revealed his ongoing regret over the sale of Andrei Kanchelskis and how if he was faced with the same situation again he would have handled the situation very differently. 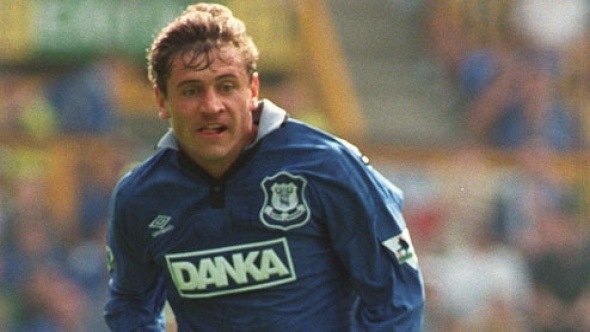 Royle signed Kanchelskis during the summer of 1995 on the back of Everton’s FA Cup success. The Ukranian born Russian international cost Everton a then club record fee of £5 million, when he joined the Blues from Manchester United and went on to make an immediate impact at Goodison Park. Joe Royle takes up the story. The Italians that Royle referred to were Fiorentina, who completed an £8 million deal to take Kanchelskis to Serie A. Kanchelskis failed to recapture the same form and his career somewhat petered our with further transfers to Glasgow Rangers and Manchester City. During that 18 month spell Kanchelskis spent at Goodison, the flying winger was outstanding. Probably his finest moment came at Anfield as Everton secured a brilliant 2-1 victory, Kanchelskis scoring both Everton goals as the Blues outplayed Liverpool with a performance full of brilliant attacking play. Relive that brilliant evening by clicking on the YouTube clip below and use the comments box below to let us know your memories of Kanchelskis. The last signing I was genuinely thrilled at …. Says a lot in 18 years that have passed. Kanchelskis was an outstanding player and at times during that first season at the club he was almost unstoppable. With Limpar on the other wing, Everton were a great team to watch and it was a real shame when the Joe Royle era began to unravel the following year.